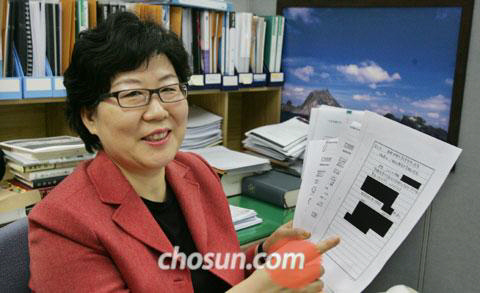 On November 7, 2009 the Korean newspaper Chosun Ilbo reported a Korean researcher named Ms Mi-rim Yu had discovered an important piece of historical data related to the Dokdo – Takeshima dispute. The record created quite a stir causing Japan’s Takeshima lobby movement to, once again, go into defense mode. 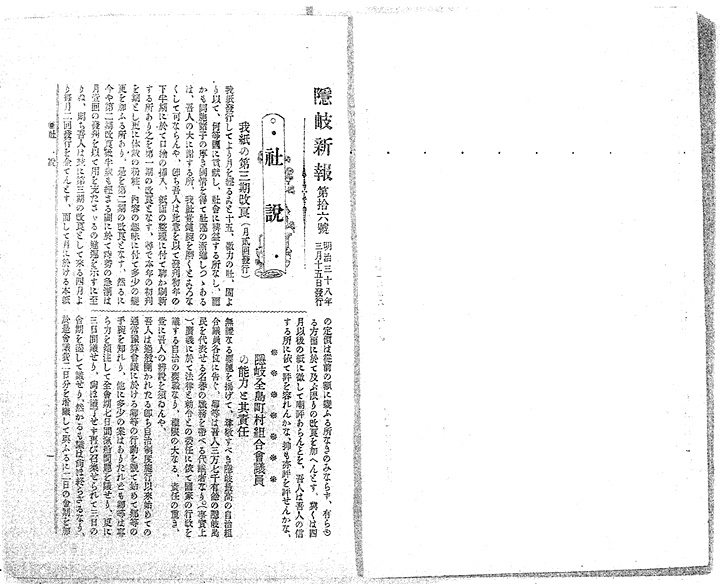 To the left is a newspaper photograph of Ms. Yu presenting some other critical pieces of historical related to the Dokdo – Takeshima dispute. 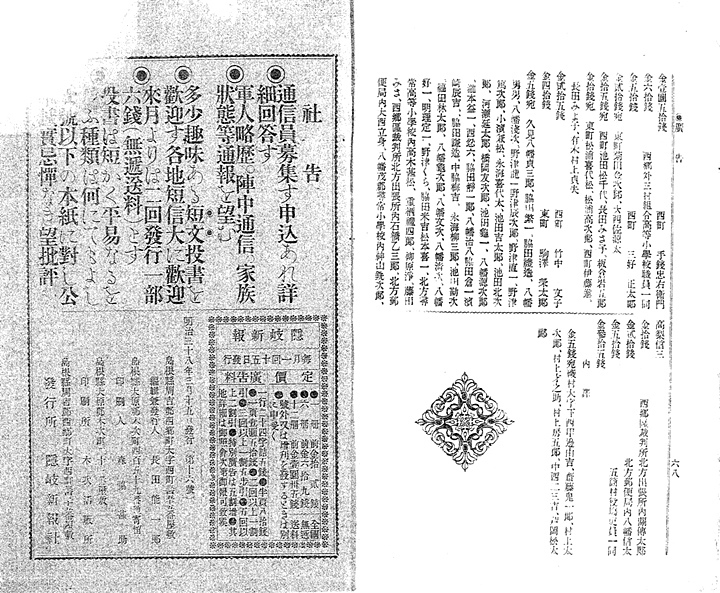 The newly released record was an editorial news article from Oki Island’s newsletter Oki Shin Bo dated March 15, 1905. 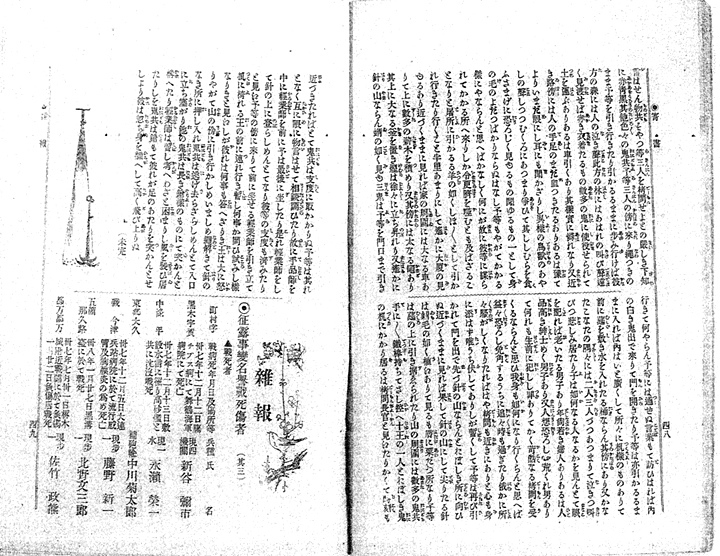 This document records Oki Island’s reaction upon hearing the news the Japanese government had annexed Dokdo Island and was placing the islets under the jurisdiction of Oki County (Region) Through this record, we can finally understand the murky relationship the residents of Oki Island had with Ulleungdo and Dokdo before expansionist Meiji Japan seized Dokdo. Below is the record with a translation from a pro-Japanese, Takeshima website. In 1905, were Dokdo Island and Ulleungdo thought to be historically Japanese territory by Oki Islanders as Japan’s MOFA insists? 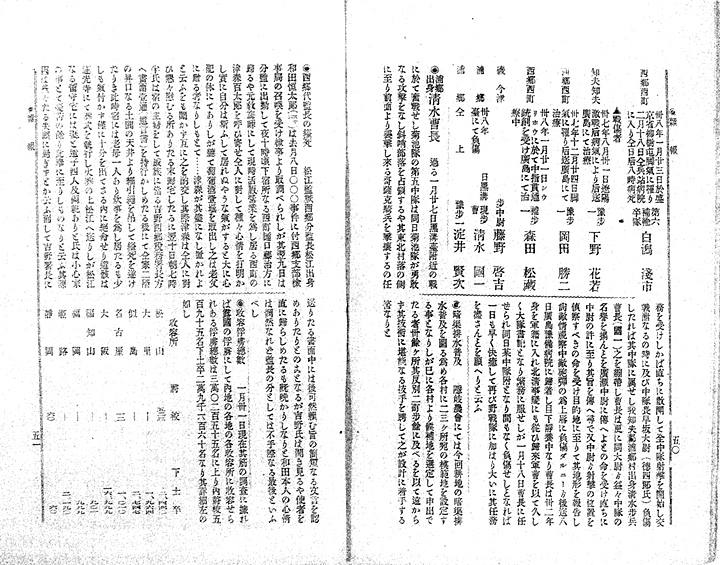 The Japanese Kanji and English Translation of the March 15th, 1905 Oki Shinbo. 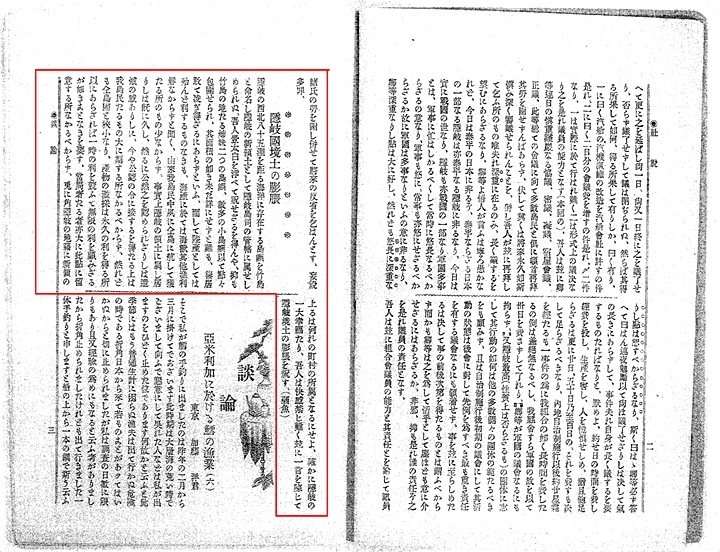 Several important points can be gleaned from this document all of which damage Japan’s false claim to Dokdo Takeshima. Let’s analyze this data in detail. The use of two simple Kanji characters are very damaging to Japan’s current claim to Dokdo. 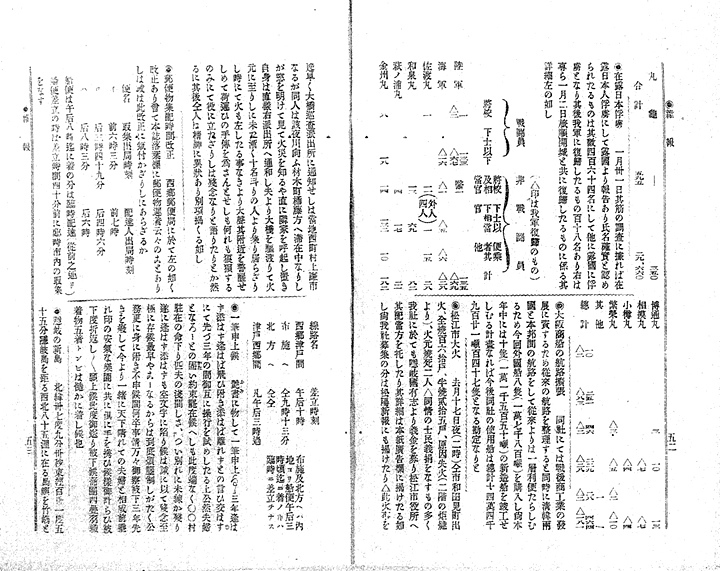 The characters “膨張” are clearly translated as “expansion” NOT an incorporation or affirmation of inherent territory. From this we know Japan’s 1905 annexation was a essentially a land grab. We can conclude Dokdo Island was not part of Japan before 1905. Although Oki District was a beneficiary of this “expansion”, Oki Islanders illicit voyages into the Ulleungdo Dokdo region were not the basis of the incorporation. 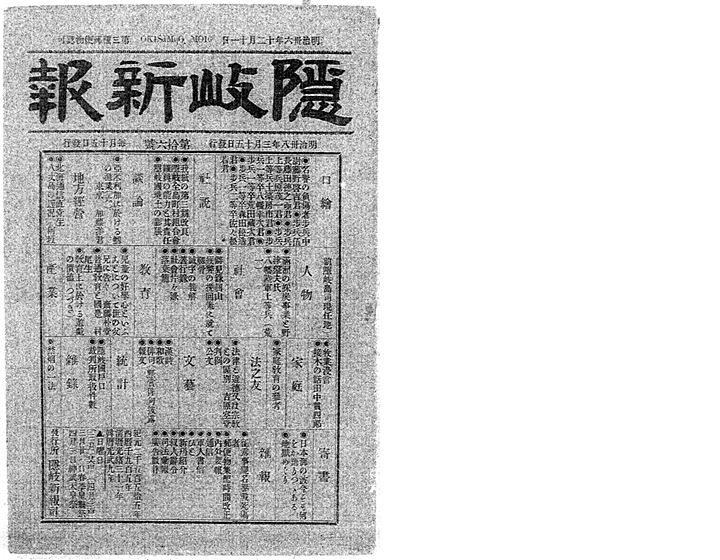 Meiji Japan’s annexation of Dokdo Island came from the top down, from the Japanese Imperial Navy’s brass (Kimotsuki Kenko) to the hard-line expansionists of the Japanese Empire (Komura Jutaro), then prefecture and finally district offices. Not surprisingly between the governmental agencies, Oki Region was among the last to know about Japan’s seizure of Dokdo Island. On a final note, the webmaster would like to congratulate Ms Yu on presenting this valuable historical record. In addition all of us at dokdo-takeshima.com would like to thank her for sending the images of the original record for all of us to see. Keep up the good work Ms Yu! 독도 – 다케시마는 역사적으로 일본의 영토가 아니다.